You may not be aware of this, but our Dallas Park System boasts 381 parks, with a total of 23,242 acres of public land. Even with all the work entailed in doing so, the Dallas Parks and Recreation department does an outstanding job of maintaining these parks and providing great options for picnics and family outings. When enjoying sunny days at our community’s awesome outdoor resources, you may want to watch what you put in that picnic basket to avoid experiencing the various symptoms of gout. Lately, we’ve been taking a look at gout, including how the condition develops and what kind of treatment options can be used to address it. Those are certainly important parts of understanding this arthritic condition, but we feel it is important that you are able to identify signs of this condition so you can take appropriate measures and see us for the care you need. Intense joint pain. This is most commonly experienced at the metatarsophalangeal (MTP) joint of the big toe —where it connects to the foot. The pain can be of such intensity that even a light weight on it, like a bedsheet, can be excruciating. Inflammation and redness. Combined with the severe, sporadic pain, a big toe that is red and swollen at the base can be another indication of gout. If pain is not present, swelling might be an indication of a different issue such as a potential bunion. Be sure to come in and have our foot specialists provide an accurate diagnosis for you. Lingering discomfort. Whereas the initial symptoms tend to come on sporadically and in severe flares, an untreated case of gout can lead to a more consistent (although milder) pain. Limited range of motion. As the gouty condition progresses, any affected joints—especially the big toe’s MTP joint—can experience decreased mobility. 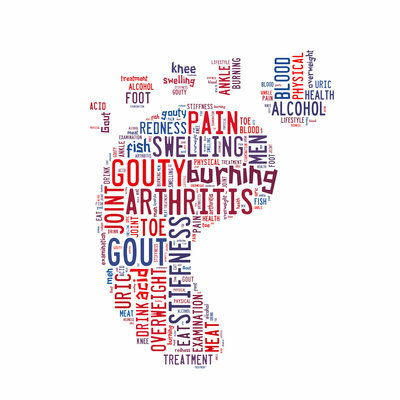 In the event you or a loved one recognizes any of these gout symptoms in your feet, contact Dallas Podiatry Works for information on how we can help. Our practice is centered on providing effective care and treatment for a wide range of foot and ankle issues, including arthritic conditions like this. Call us toll-free at 972.566.7474 and we will be glad to answer any questions you may have or assist you in arranging a visit at either our Dallas or Plano, TX offices. Of course, you can always request an appointment with us online as well.